In recent years, the increasing closure of pubs and clubs in cities has sparked petitions, campaigns and a host of media articles calling for action to save the UK’s nightlife. According to Nesta, 60 per cent of the night venues open between 2005 and 2015 in the London areas of Holborn and Covent Garden are now closed. In this context, it’s no surprise that the Mayor of London appointed a ‘night czar’ to promote and defend the night-time economy in the capital. Our recent report City Space Race offers some insight as to why this is happening. Several local authorities we interviewed for the report suggested that nightlife in their cities was under threat because of increasing pressures for land use in their city centres. In particular, the report highlights that city centres are becoming more and more residential, leading to conflicts with night time venues over noise complaints, and in some cases resulting in clubs and venues being forced to close down (as is happening in Bristol, for example). Of course, bringing more residents into city centres can have many benefits, such as ensuring that they remain vibrant and lively areas. But this shouldn’t come at the expense of businesses, shops, clubs, pubs, restaurants, theatres and cinemas, all of which help to build a city’s identity and attract people to these areas in the first place. One factor contributing to this problem is the ease of converting offices into residential space under permitted development rights (PDR). We’ve explored this issue in more detail in a previous blog. But put simply, this policy allows developers to turn existing commercial units into residential property with little or no approval needed from the local authority. As a result, new flats and houses have popped up in city centres, in close proximity to night venues and all the potential inconveniences arising from them. These tensions are building up in city centres in particular because not enough homes are being built up elsewhere in cities. The national planning system provides all sorts of regulations that restrict cities’ expansion, such as the green belt or London sightlines, which squeeze the existing housing supply. Because building outwards is difficult, and building upwards is often frowned upon, converting city centre commercial space suddenly becomes an easy alternative. But cities can’t have it all: restricting the expansion of cities puts more pressure on land in city centres, which in turn threatens businesses and amenities – including much-loved nightlife spots. As such, to preserve their city centre and night time economies, cities need to make tough decisions about building more homes in the suburbs and on green belt land. Our report recommends relaxing planning restrictions outside city centres, to enable housing stock to be expanded in other parts of the city, instead of eroding commercial stock in central areas. City leaders should also have the capacity to exempt their city centres from permitted development rights, to give them more control over conversions and to ensure projects are not detrimental to other city centre activities. 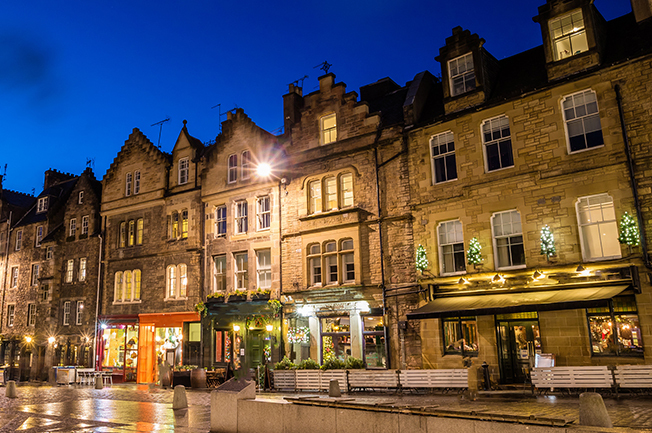 Survey work by Centre for Cities found that the main reason city centre residents choose to live where they do is to benefit from the proximity to restaurants, leisure and cultural facilities these areas offer them. It would be ironic if the presence of those residents ends up killing the city’s vibe. But what about the cities with low demand for city centre spaces e.g. Sunderland? Apologies, but advocating for land use patterns that promote continued unchecked, low-density, suburban development into environmentally sensitive greenbelts and untouched greenfields as the answer, does not seem to be that revolutionary. Instead, it seems like a soft reason to continue to build the way that US has been building since the dawn of the suburb in the early 50’s and frankly seems pretty unresponsive to major regional issues like traffic congestion, watersheds, emergency services, etc. The way to save nightlife in cities is to recognize the challenges of having both a nightlife community and residents in the same place and mitigate those challenges: 1) economic development incentives to create nightlife districts that provide nightlife spaces and can be regulated for sound and activity 2) sound mitigation in areas where nightlife comes up against residential 3) regulations which protect the first user into an area – agent of change. There are much more creative and responsive ways to promote and protect nightlife than saying that we should keep moving people to suburbs. Thanks for the comment. I agree with most of your points – let me clarify some elements. I share your recommendations about how to mitigate the challenges of residents in city centres. But some of this already exist and it does not seem to be sufficient. Until recently, local authorities could not veto an office-to-residential conversion under PDR on the sole ground of commercial noise, so a number of flats have been built without the required features. Even now that local authorities can consider noise as part of the prior approval process there still seem to be issues in several neighbourhoods. The Bristol case exactly shows this: residents are complaining, and sound mitigation is not that easy to achieve for new buildings or for night venues. To be very clear, it’s a good thing that city centres have more residents – this makes them more lively and attractive places to businesses and shops, and we are frequently arguing for repopulating city centres. But some cities are growing fast and in those places city centres are not able to absorb all population growth. So it’s not a case of moving people to suburbs, but just to make sure there is enough housing supply to meet demand. That’s why some cities need to expand. I also agree with you that new developments should not follow the kind of low-density suburban patterns we’ve seen in the past, and we’ve actually published a blog about this a few days ago (https://www.centreforcities.org/blog/increasing-density-answer-land-squeeze-successful-cities/).